South Korea’s antitrust regulator on Sunday levied 291.7 billion won ($272 million) in fines against Posco and six other steel companies for price fixing. The steel companies regularly had meetings to collude with each other on prices for cold-rolled steel, galvanized steel and color steel, the Fair Trade Commission said in a statement. The commission said the collusion occurred in the past several years. 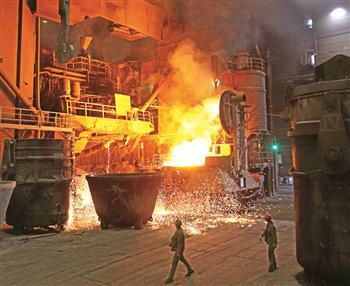 The FTC said it will ask prosecutors to look into the case against a group of six steel companies, including Posco, Hyundai HYSCO and Dongbu Steel Co. .
Posco was slapped with a fine of KRW98.33 billion, the largest of the group. The FTC said the country’s top steelmaker joined with others in 2005 to create “zinc surcharge,” aimed at passing a surge in zinc prices onto customers. Posco said they were not involved in price collusion. The company controls more than 60% of the domestic galvanized steel market. “We will take a legal action to prove we are not guilty,” company spokeswoman Han Mi-hyang said.